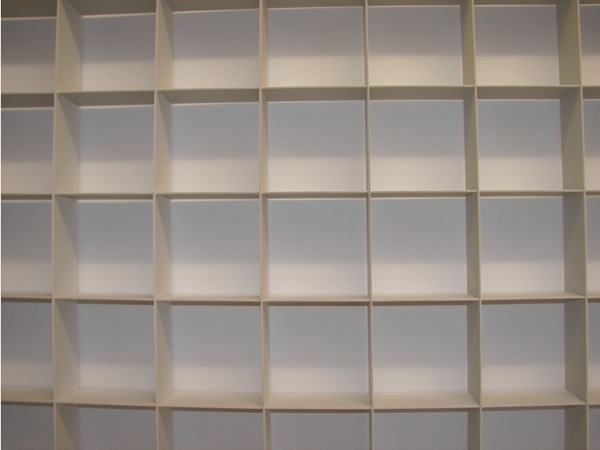 Simple compartment sections created by using partition grids (at least one partition grid lengthwise and one crosswise), with partition grids cut to half. For additional lateral stability the partition grids are frequently made from either single or double-walled corrugated board. Partition grids which are centrically folded and stuck together (with technical gelatine adhesive), are cut in the centre, snugly folded into each other with closed partition edges. 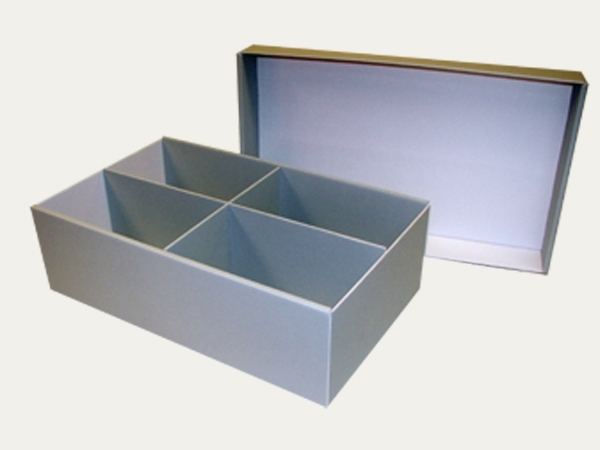 The compartments formed are of extraordinary stability. 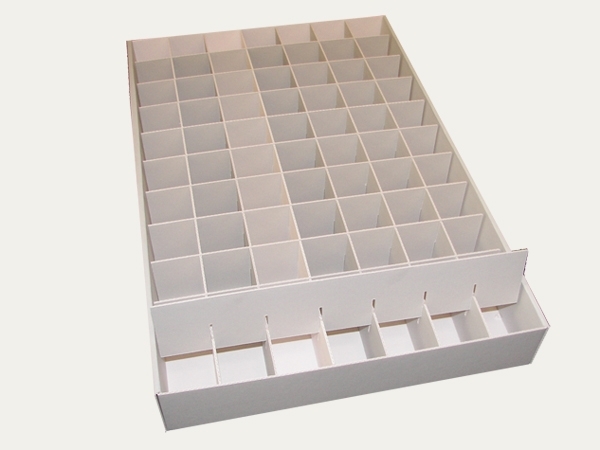 Partition grids, however with additional lateral stability in the double-walled panels of the boxes. 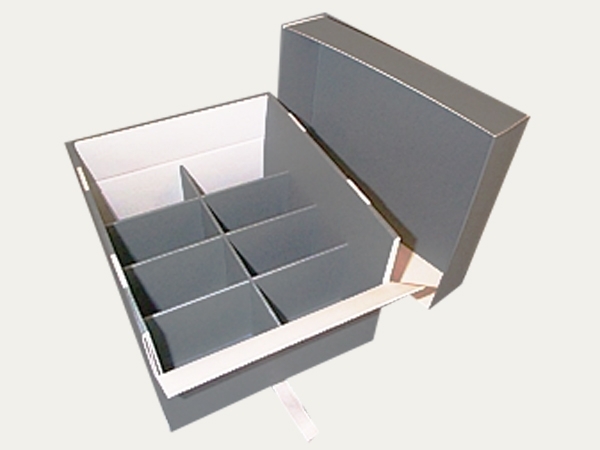 Due to the lateral (sideways) anchorage of the partition walls, compartments can be made only crosswise or lengthwise. 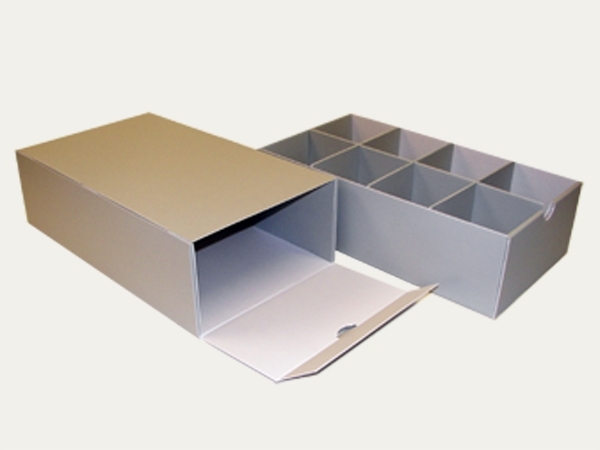 Compartment sections made from either solid or corrugated board, are made by simply adjusting the folding boxes into larger boxes. Click here to download the digital version of this application example.